Painting walls in your home is not necessarily a difficult task, but if not done well it can look dreadful. By taking a few simple steps you can ensure a great finish without necessarily needing to employ a professional. Our handy ‘how to’ guide walks you through the process step by step so that even a novice can achieve a good finish. How big is the room? Small rooms often feel even smaller when painted in darker colors. How much natural light does the room have? If the windows are small or there is a reduced amount of natural light for whatever reason, consider using a color which will reflect the natural light. Do you want a feature wall in a different color? These can be a real statement but do remember that things can go out of fashion quickly and that lime green wall might seem like a great idea now but in a year or two you might find yourself hating it. That’s not to say don’t make a big statement – just think carefully about what you want first! Are you going to be using wallpaper or do you have any soft furnishings to match to? Consider taking a sample of these with you to the paint shop or bring some color samples home to help match. Once you’ve decided on your look and feel, get shopping but don’t just leap in and buy straight away. At the very least bring some color charts home to look at in the room you’re doing to be painting – or even better buy a few sample pots and try them out. Once you’ve finalized your ideas then get buying – be sure to buy enough for the whole project at the beginning so measure carefully to work out your coverage. What tools will I need to paint my walls? Paintbrush – a good quality paintbrush is essential for achieving a good finish so don’t scrimp here! Painter’s tape – masking tape is fine but we’d advise low-tack tape – you don’t want it pulling the paint off! Unfortunately even well-known brands of paint can vary in color from batch to batch so it is always worthwhile mixing all your paint together in a larger container at the beginning and working from there rather than working from individual tins. You then use a paint kettle to carry just a small amount at once – you don’t need a special container anything will do. The professionals will usually use a professionals will tend to use a metal or plastic container lined with a layer of foil to prevent lengthy cleaning! 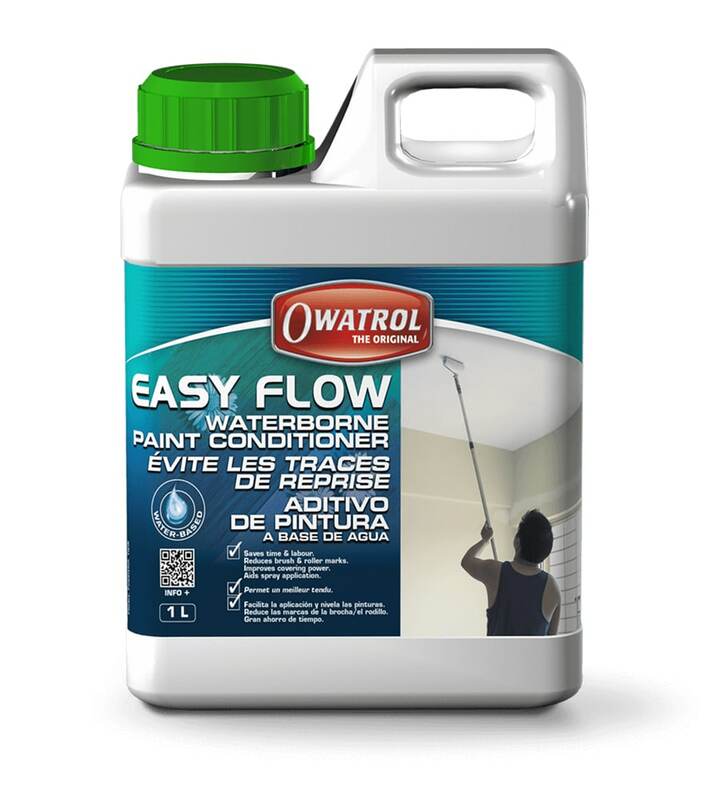 We would also recommend adding a paint conditioner to improve the flow of your paint. 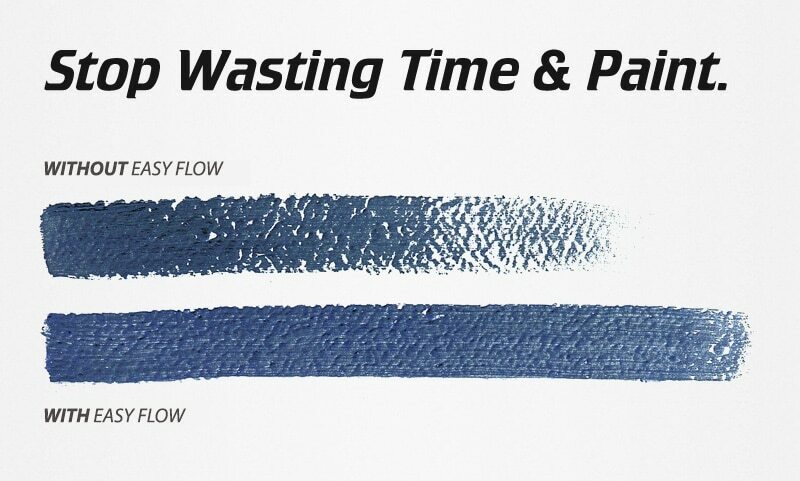 This may sound a little like jargon but essentially a paint conditioner helps to maintain the ‘wet edge’ of your paint which lets you work with it for a little longer before drying and allows for a more professional finish by reducing brush and roller marks. We would recommend Easy Flow paint conditioner which is suitable for use in all water-based paints (for oil-based paints use Owatrol Oil) and does not effect the inherent qualities of the paint. This might seem like an unnecessary additional expense but for the improvement it will make to your finish it is really worth a small investment. At this point it’s time to put down your dust sheets and tape up your edges (if you’re not confident with beading edges). Continue these two steps all the way along your edge. Once you’ve completed your edges you can use a roller to finish off the rest of the wall. Using a paint conditioner means that your rolled paint should look more like it’s been sprayed by a pro! First pour some paint into your tray (the paint well should be about 1/3 full). Next dip your roller into the paint and roll it back and forth on the bumpy part of the tray to cover it evenly. When rolling the paint onto the wall use overlapping strokes in different directions and try not to go too fast or you’ll splatter paint everywhere. Don’t overload your roller and work in a smallish area at a time. Once your roller needs reloading move to a new area next to the part you’ve just painted and work your way back to the painted area – that way the wet edges will be blended nicely. Alternatively you can use a paintbrush to paint your wall (we’d recommend one between 10-12 cm). To do this first dip your paintbrush into your paint (about 1/3 of the bristles) and then start painting at the top of your wall in short, overlapping horizontal and vertical strokes. Working smallish panels and merge one area into the next whilst it is still wet. 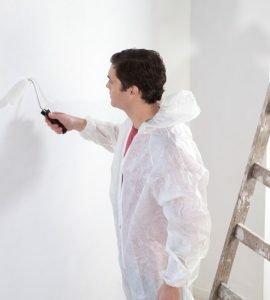 It’s best to work a complete wall in one go but if you can’t finish your whole room in one day don’t worry, just wrap your paintbrushes tightly with cling film and they should stay soft until the morning. 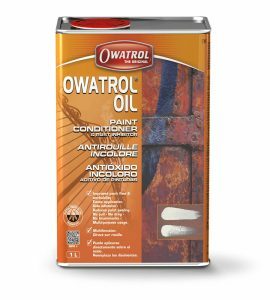 Read the manufacturer’s instructions carefully to see how many coats you will need to apply and how long you need to leave the paint to dry in between coats. Remember to clean all your tools as soon as you’re finished as it’s difficult to clean paint from a brush once it’s dried on!